Sitting at home and shopping online is one of the good-life conveniences, apart from just sitting at home, of course. Which is why today’s deal is all about convenience! 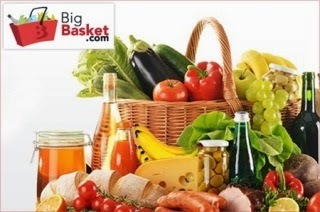 Bigbasket is offering 186gm Orion Pie Choco Carton for new customers. You can buy as many products you wish to. Note: *Go through the above "Click Here" link only to achieve the free Orion Choco Pie 186gm Carton. *BigBasket delivers in Mumbai,Hyderabad and Banglore only at present.